The Emirati Voices project with Faisal Al Saari, organized by the Department of Culture and Tourism – Abu Dhabi, is one of the most ambitious musical projects in the region. Its goal is to bring together Emirati and Middle Eastern musicians to find new ways to preserve and renew the rich vocal traditions of the UAE. To celebrate the Year of Sheikh Zayed, top Emirati Musician Faisal Al Saari and his vocal group will present to the public songs on both heritage and modern themes inspired by the poems of Sheikh Zayed bin Sultan Al Nahyan. The concert will also feature songs in the Muwashahat style, which is a unique musical language connected to a spiritual message and derived from Sufi traditions. The originality of the project will also be an attempt to adapt this Muwashahat style to the UAE and to reach highest academic levels by transposing it to Abu Dhabi. 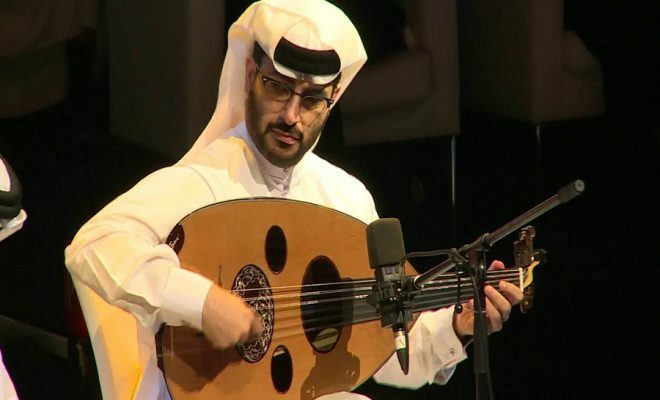 As part of this experimentation with Arab musical genres, Faisal Al Saari and his students will also explore the Al Qudud Al Halabiya tradition, and combine its old religious melodies with love messages. An Emirati and joined music experience awaits the listeners, highlighting both the traditions of UAE musical heritage and its unique capacity of innovation.